Santa Fe Writer's Project, 9780982625187, 350pp. When Billy’s father mysteriously disappears and his mother responds by becoming more and more reclusive, Billy maintains hope that his father’s absence is not by choice—despite the rumors and taunts of his classmates who believe otherwise. 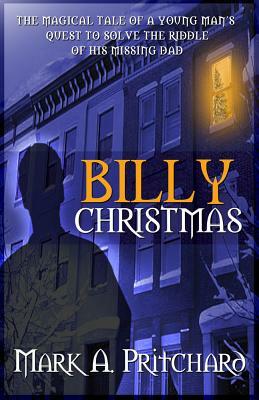 Twelve days before Christmas, Billy acquires a magical tree with a dozen ornaments, each of which holds a clue to finding his father. In order to do so, however, Billy must solve one puzzle each day, so he enlists the help of his best friend Katherine, not realizing that in doing so, he has placed them both in grave danger. The forces of evil that have captured Billy’s father are revealed to be manifest in the landscape of their very own small hometown outside of Oxford, England, as well as in some of its seemingly benign inhabitants. A beautifully woven narrative with rich, compelling characters, this novel is sure to strike a chord with any fan of fantasy literature. Mark A. Pritchard is an actor and writer. He has worked at the BBC's Radio and Music division and is a member of the Studio Theatre Club in Oxford. He wrote and directed the independent film "Love Hearts."